WHAT Expert presentations on state and local regulations with an opportunity to give public comment to the state WHO Ariel Clark/Nicole Neubert, Clark Neubert LLP WHY The proposed new regulations from the state agencies responsible for overseeing cannabis are here, and they have huge implications for everyone in the cannabis industry. This is a critical opportunity to change the rules before they are set for 2018. These agencies have opened up a public comment period so any interested party can ask for changes or make a case for how they think the regulations can be improved. This gives cannabis advocates and the industry time to respond and present alternatives to the state. If you can't make it to the public comment hearings, we want you to have an opportunity to participate and make sure you are heard. 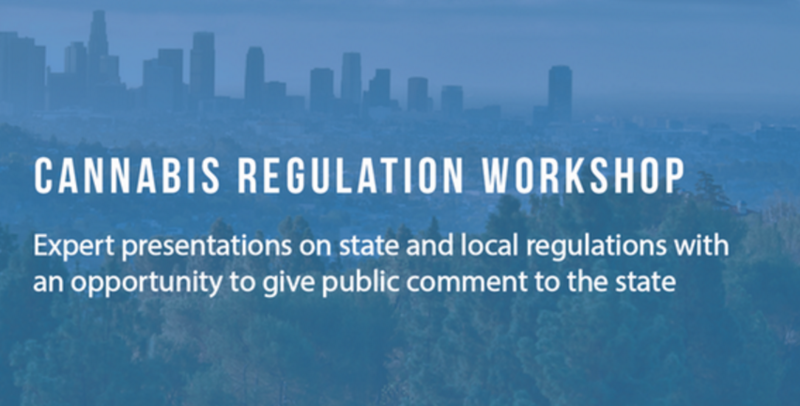 In order to gather your feedback, we will be holding a session at the LA Athletic Club to explain and discuss the new regulations and take your comments. We will also present the latest and greatest on the City of LA ordinance so make sure you make it. There are important points in the regulations our community needs to be heard on, and our voices are stronger together!